Troy Phelan is a self-made billionaire, one of the richest men in the United States. He is also eccentric, reclusive, confined to a wheelchair, and looking for a way to die. His heirs, to no one's surprise - especially Troy's - are circling like vultures. Nate O'Riley is a high-octane Washington litigator who's lived too hard, too fast, for too long. His second marriage in a shambles, he is emerging from his fourth stay in rehab armed with little more than his fragile sobriety, good intentions, and resilient sense of humor. Returning to the real world is always difficult, but this time it's going to be murder. In a story that mixes legal suspense with a remarkable adventure, their lives are forever altered by the startling secret of The Testament.This presentation concludes with an Audible exclusive, narrator Frank Muller discussing what it was like to perform The Testament. ©1999 Belfry Holdings, Inc. (P)1999 Random House, Inc.; Bantam Doubleday Dell Audio Publishing, A Division of Random House, Inc. I truly enjoy the reviews posted here, even the few who are honest in their dislike for a work that captivates me! Like so many others, I have listened to The Testament several times, and always come away with a new kernel of insight. However, I admit that at my age I can safely hide my own Easter Eggs. For me, the thing that makes this novel unique and so engaging is the weaving together of the law . . . always blind, cold and unyielding . . . and things of a spiritual nature, things which ring true to our need for fulfillment and redemption. Billionaire Troy Phelan is a pitiful man trapped by his money and his neglect of family. He chooses a way out that to him is the only honorable path left in a tragic, self imposed wilderness. Enter the lawyers, lots of lawyers to make everything ok for the heirs of Mr. Phelan. One litigator stands out from the rest of the pack. Nate O'Riley is the poster child for courtroom flame out . . . twice divorced, IRS barking at his heels and a quadruple veteran of substance abuse rehab. Yet it is just that boatload of human frailties that immediately connects the listener to O'Riley . . . a connection that will last until book's end and beyond! Rachel Lane is a missionary-physician tending Indians somewhere in Brazil's Pantanal. She is also the illegitimate daughter of Phelan, and the glue that holds this multi-faceted storyline together. I was totally drawn in by the fascinating accounts of life in the Pantanal, brought into such sharp focus by the author's personal visits to the region. I feel inadequate in my attempt to interest potential listeners in this outstanding book. However, if you take all these reviews as a whole, you should feel good about the purchase. Finally there is an epic narration by the late Frank Muller, who raises the bar to near unreachable levels with his skills. I am so appreciative of Grisham's The Testament, for it has touched me in profound ways. Just a novel? Hardly - you'll see! While listening on my way to work one day I actually turned around and decided to take the day off so I could hear the rest of this audiobook. 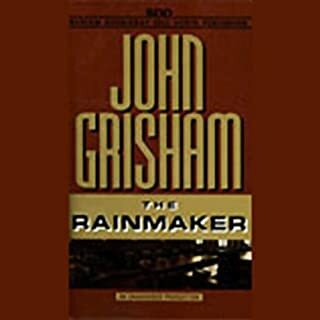 I've always enjoyed Grisham's stuff but have felt some predictability in his late 90s books. Always enjoyable but kind of like he was rehashing his earlier works a bit. Other than this one, The Partner was the only other late 90s piece of his that comes close to being this good. 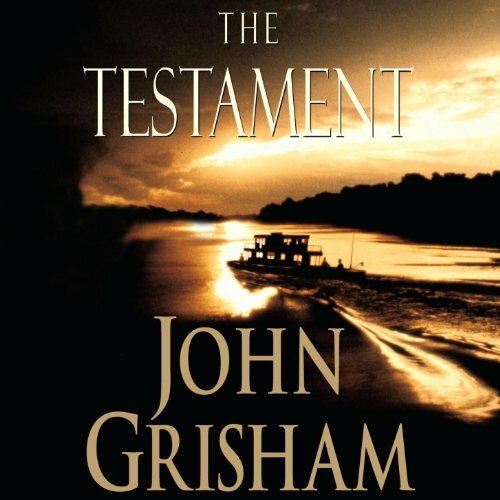 The Testament is totally different than anything Grisham has written. It's doesn't have even one scene where the main character is threatened at gunpoint to give up his case. While it is about a lawyer and some interesting legal twists, the story could be about someone from any walk of life. It?s about a good man who has fallen from grace and is struggling desperately to find his way back. It's about faith and how finding faith can give you the strength to do the right things and if you do the right things, the right things just might happen to you. The characters are wonderful and the story grabs you from the first line. The ending is a little bit of a surprise, which is handled very believably. The narrator is simply the best I've heard. As corny as this sounds, if you only listen to one audio book ? this is the one you should choose. I loved this book. 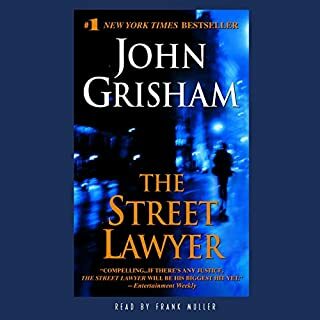 Of course Frank Muller is the best narrator I've ever heard, but this is also John Grisham at his best. A definite keeper! My two children and I listened to the audio during an eight hour trip to my parents. Stopping for fuel was difficult as we had to stop the tape. After arriving at our destination, grandma's house, I found myself slipping into the car to hear just a little bit more of it. Full of suspense and very substanitive. This book is amazing. It has every emotion possible runnin thru it. There are sad times, happy times, fun times and boring times. It really makes you think about your own life and have you done what you want to do and are you living the way you think is the right way to live. The Testament makes you think about all of that. 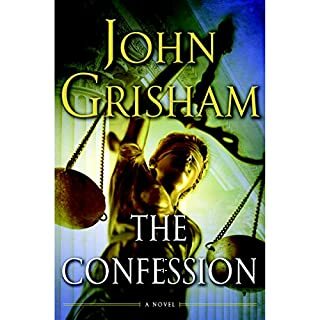 I love Grisham's books as well as many others like Michael Conelly, James Burke......but The Testament just does something to me when I listen to it, it puts me in a transe almost...its that deep to me. If youre looking for a lot of action and suspense this isnt the book for you. However, if you are looking for a book that will make you think about what good you have done and how much better you could be.....this is the book you need to listen to. I have listened to it at least 5 times and I get something different out of it each listen. Frank Muller does his thing, just an amazing reader. Too bad he isnt around any longer. Every book he read was just a touch better with his narration. 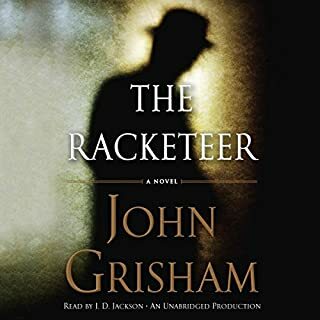 I really liked this Grisham novel, in part because it takes us to unfamiliar surroundings. Unfamiliar people. If you need just the normal everyday, don't read it. If you like adventure, this has the twists and turns AND some interesting background. 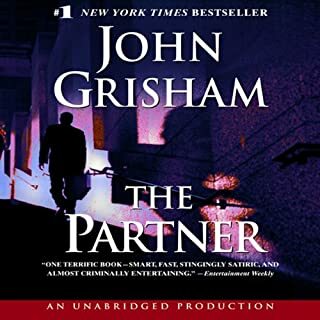 I have only just started reading/listening to Grisham's novels (this is my third) but so far it's my favorite. By the time I got to the end it really felt as if the people in this story were real, not just characters made up by an author. This book also sparked an interest in the Pontanal in Brazil for me, a fascinating area. Frank Muller is also one of the best audio book readers I've ever heard and his performance here is nothing short of amazing. Just whose testament is it anyway? A recovering addict is given the task of tracking down a missionary who has inherited a vast fortune from a father she never knew. She's happy in the Brazilian jungle spreading Christianity and living the simple life and doesn't want any part of the vast windfall that's fallen into her lap. This astounds the legal eagle who has been given the task of tracking her down. I found this to be a wonderful book that kept me tuned in. Plenty of mystery, drama and a couple interesting plot twists. All in all a great listen. Mr. Muller has spoiled me for other narrators; I keep coming back to look for other books he's done. Together, he and John Grisham produce stories that keep me glued to my seat, I can't imagine a more compelling duo than these two. 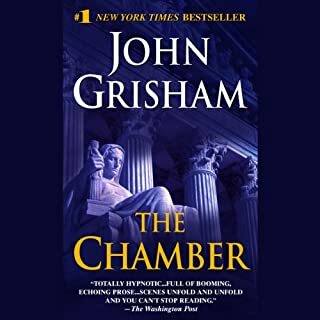 I've read many of Grisham's books in the 80's and 90's but haven't enjoyed them nearly as much as when I began listening to them read by Frank Muller. This is not as powerful as some of the author’s other books, but it’s a fine story. His most popular books had more suspense and thriller. This is just a fictional story about lawyers and heirs to an estate. It’s different. It’s enjoyable and above average because of the author’s skill. He’s good at creating fun-to-watch characters. I chuckled at some of the wry comments. For example, Nate’s life is so miserable and he’s feeling such hangover pain, that he’s in a fog about the dangers around him. It’s like who cares if he has to fend off alligators. It’s just another inconvenience. After one event he says in his dry uncaring monotone “oh, I’m still alive?” His reactions and acceptance of jungle threats were humorous in a dry, satirical way. In addition to alligators he sees anacondas, piranhas, rats as big as dogs, and mosquitos. Later Nate suffered through dengue fever. Josh saw him and said “You look awful. You’re skinny as a rail.” Nate said “You want to lose fifteen pounds, find the right mosquito.” On another topic, I admired and liked the character Josh - smart, competent, but not perfect. The narrator Frank Muller was fabulous. He’s very entertaining with the various personalities, especially with Nate’s attitude and comments. Different narrator - I could not finish this book as the narrator was just too irritating. Disappointment - I thoroughly enjoyed Sycamore Row and on that basis chose this book. However I found this narrator so irritating that I just could not get past that and enjoy the actual story.